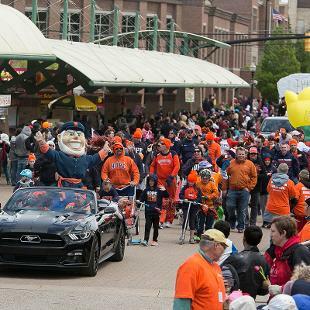 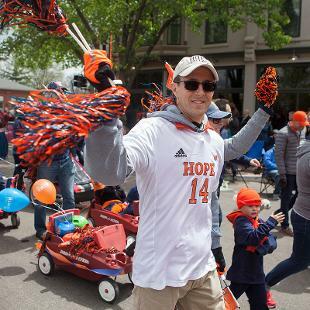 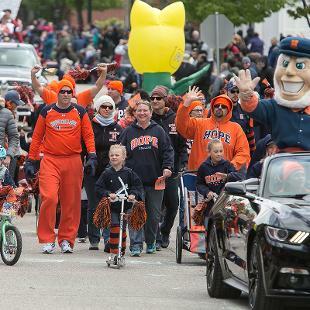 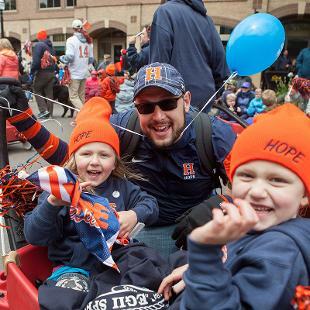 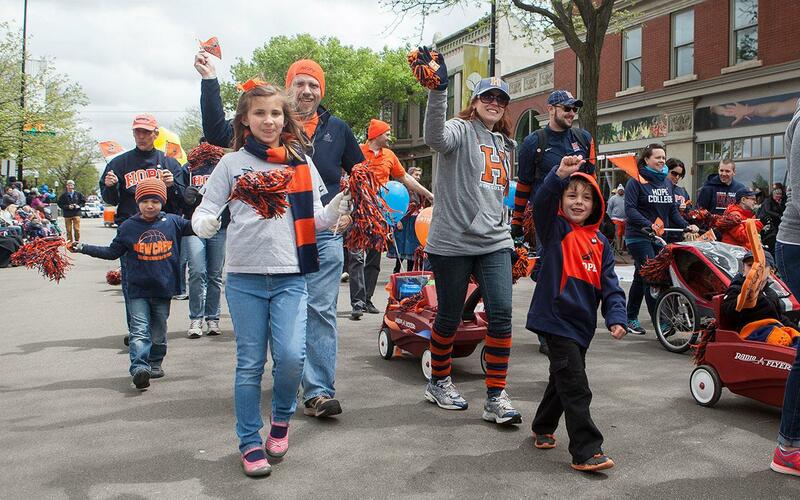 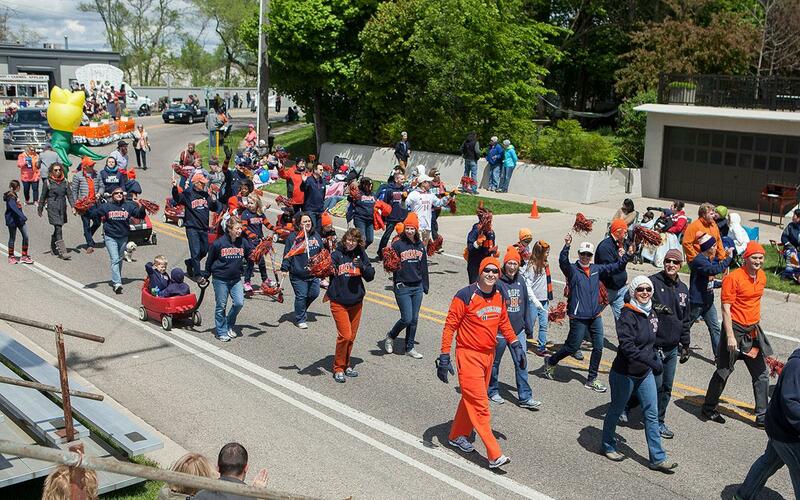 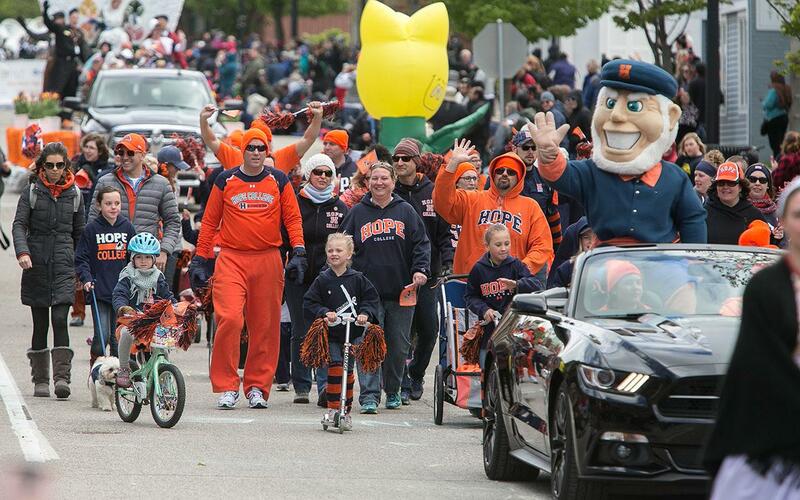 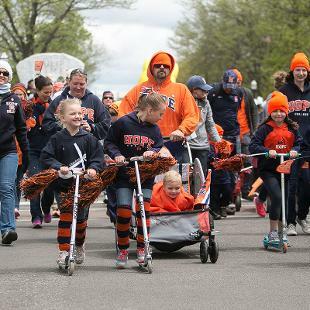 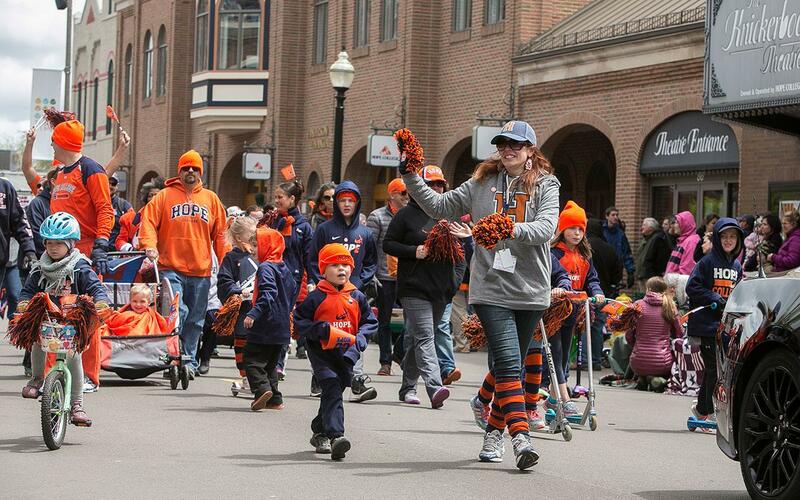 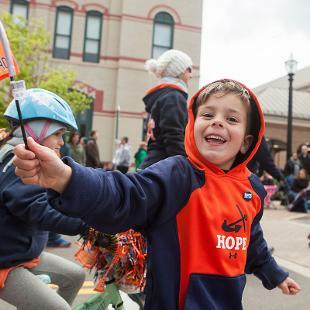 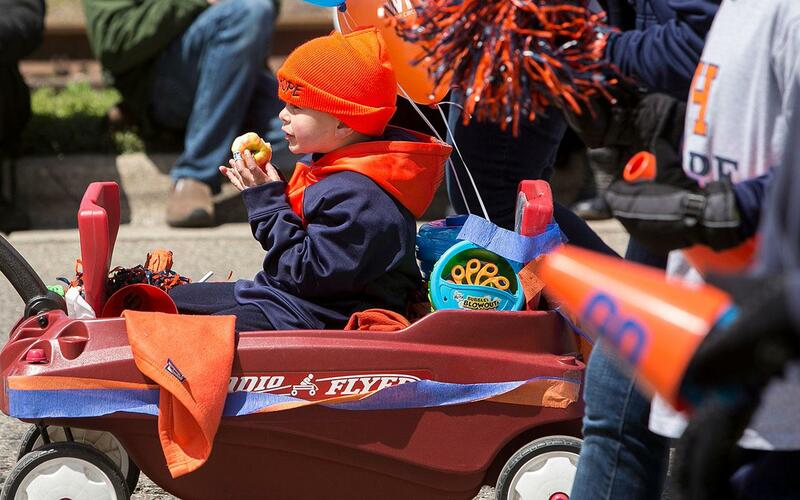 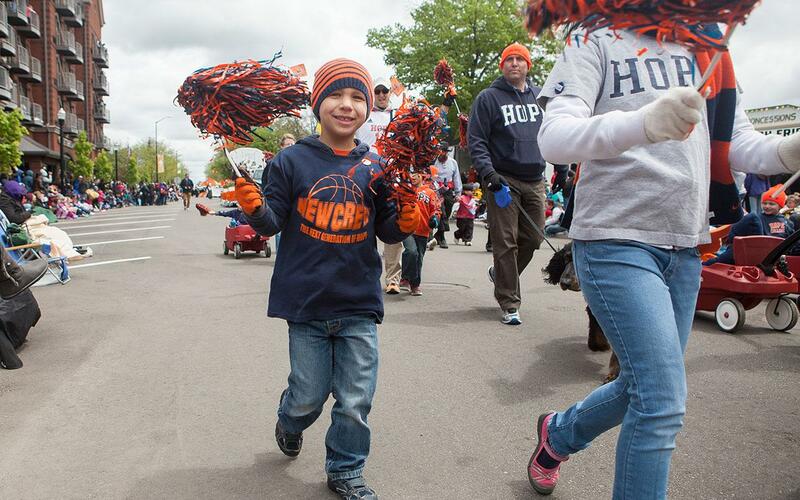 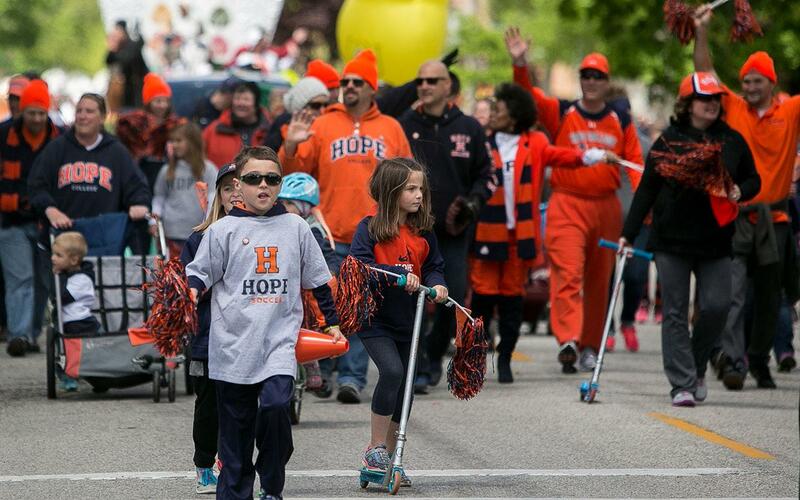 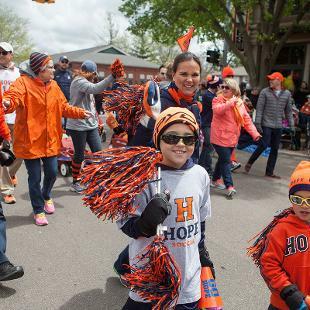 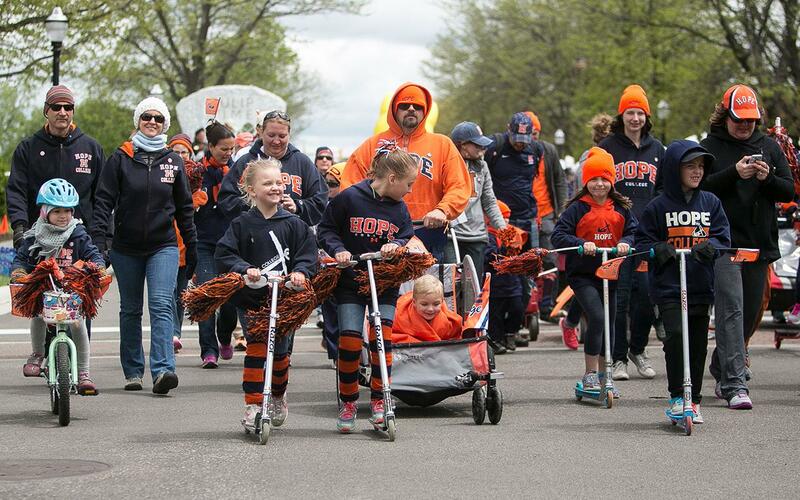 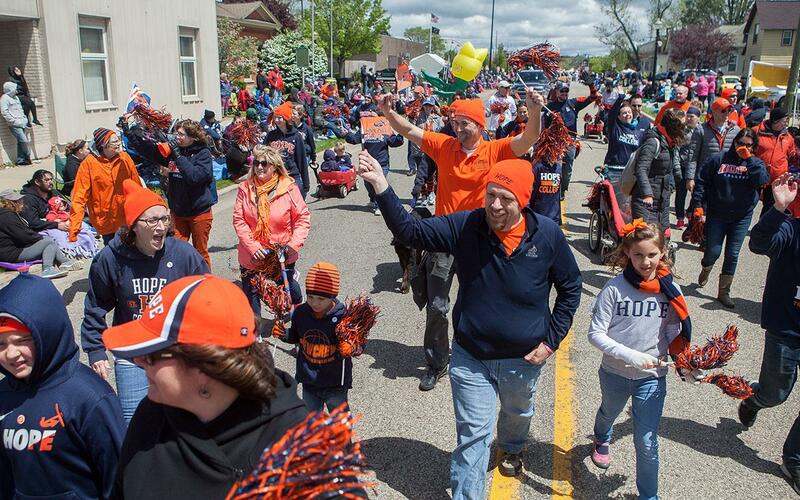 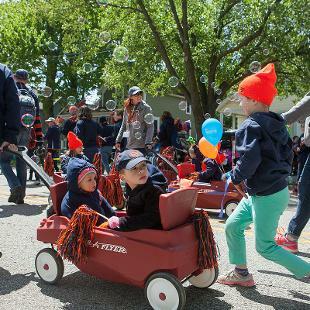 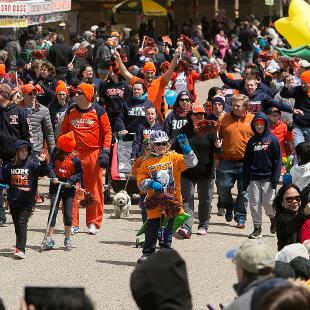 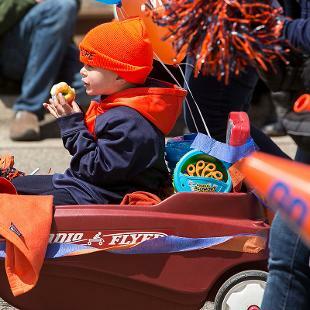 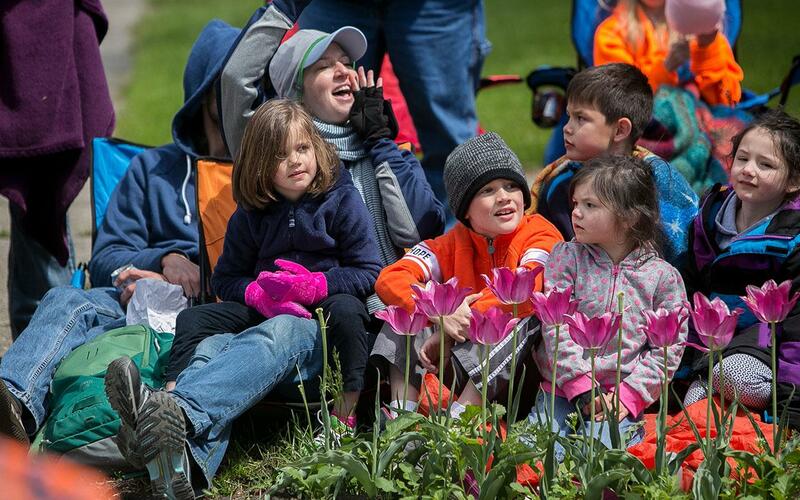 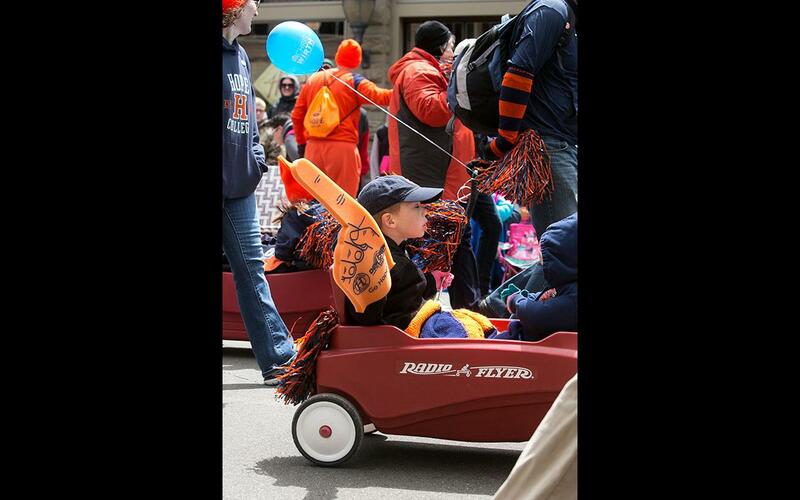 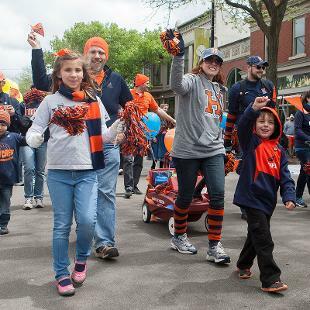 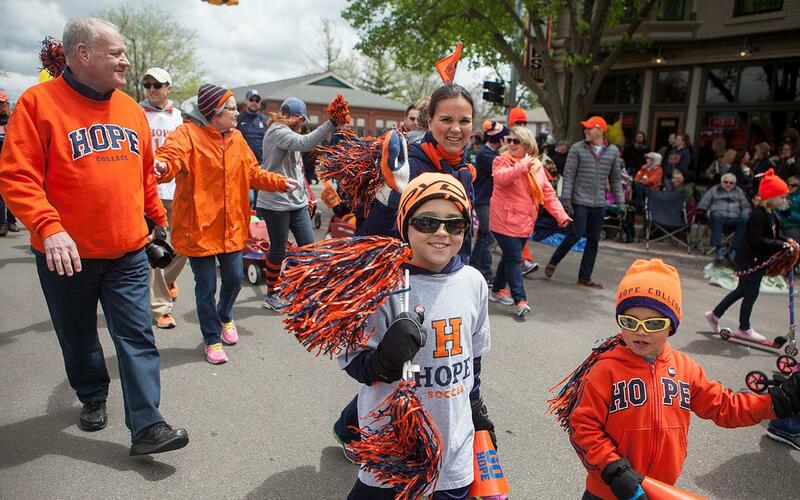 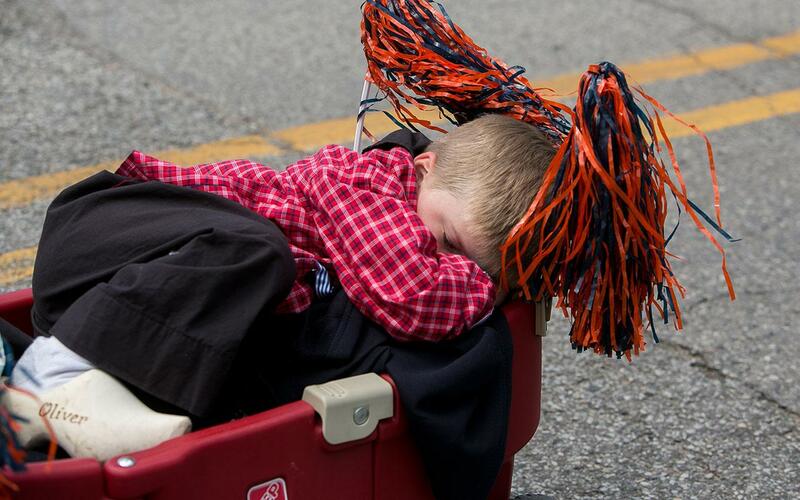 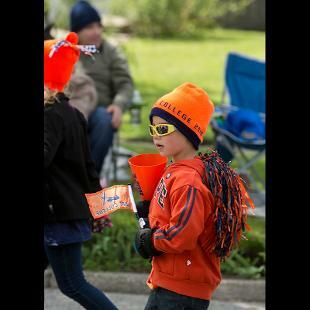 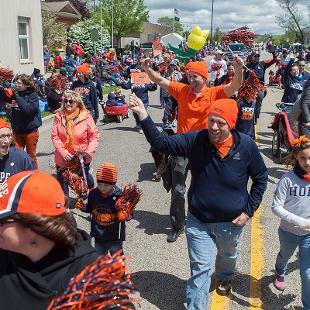 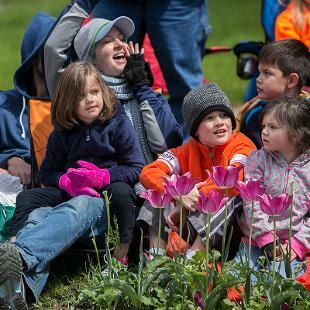 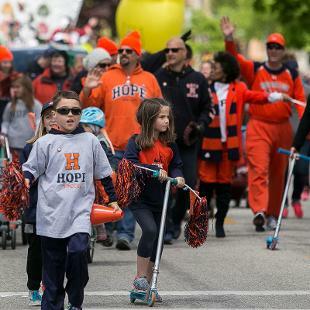 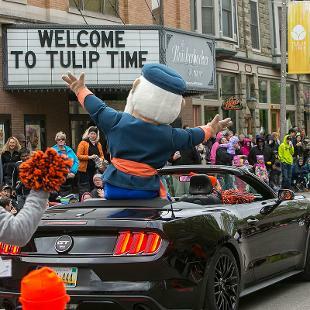 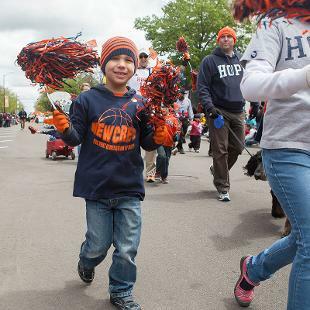 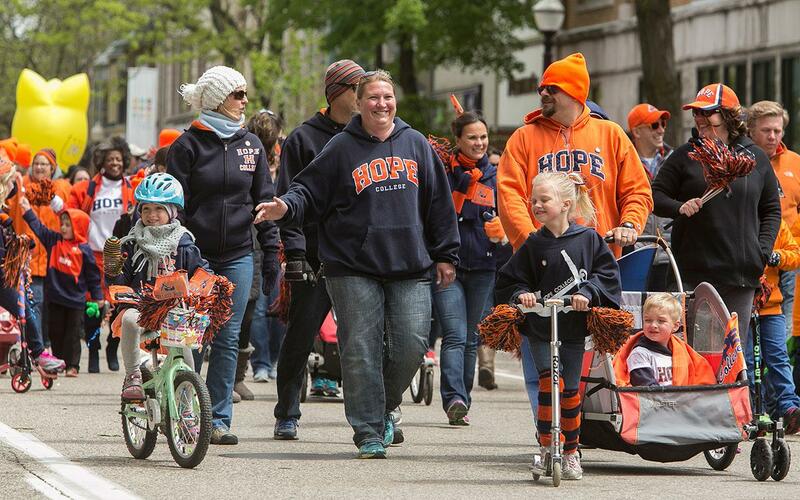 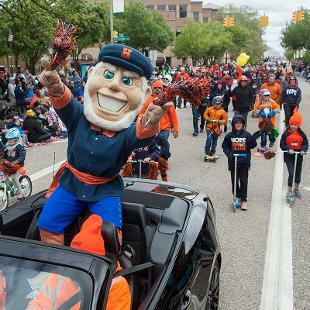 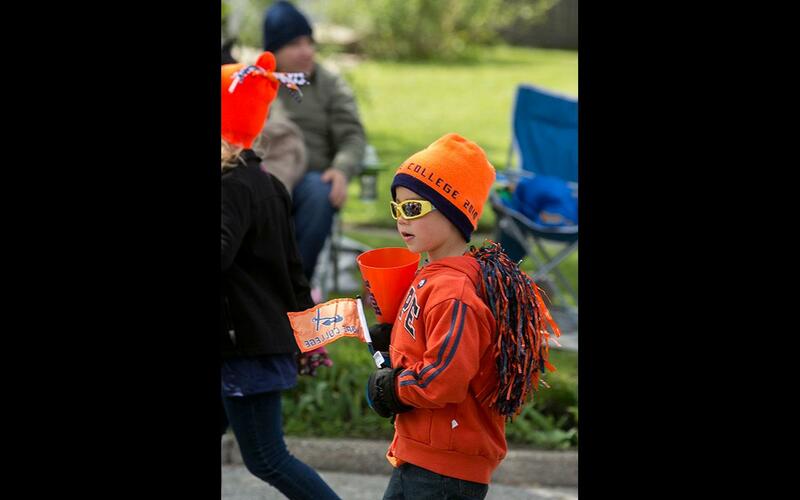 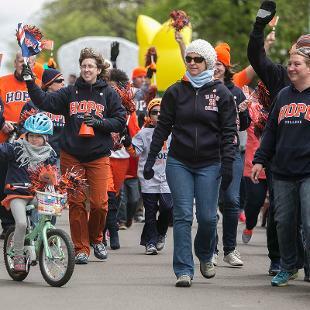 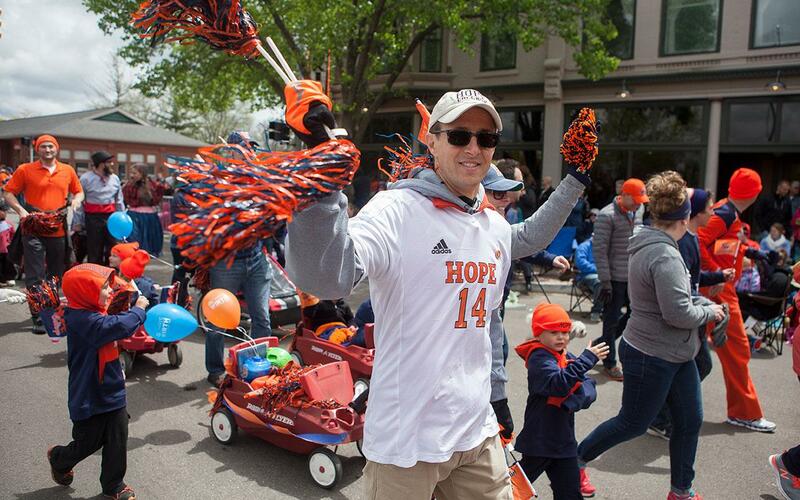 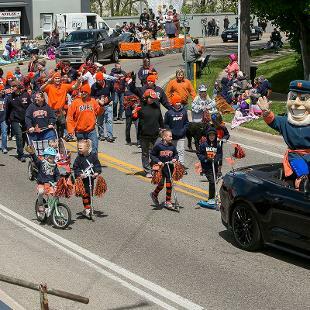 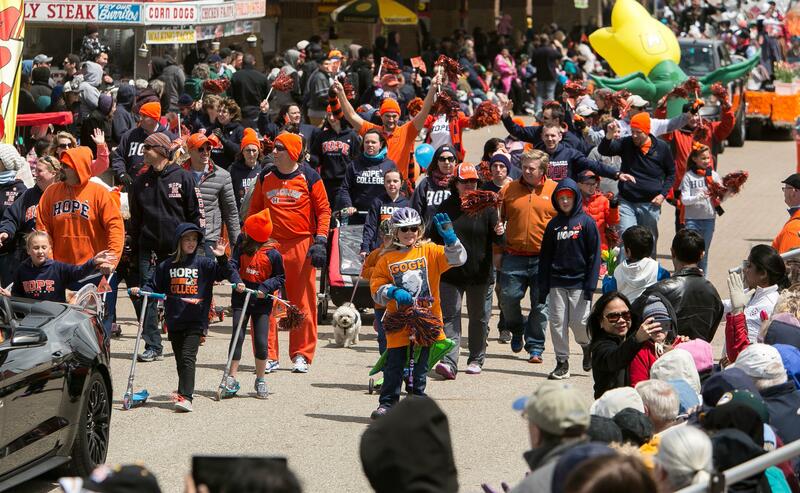 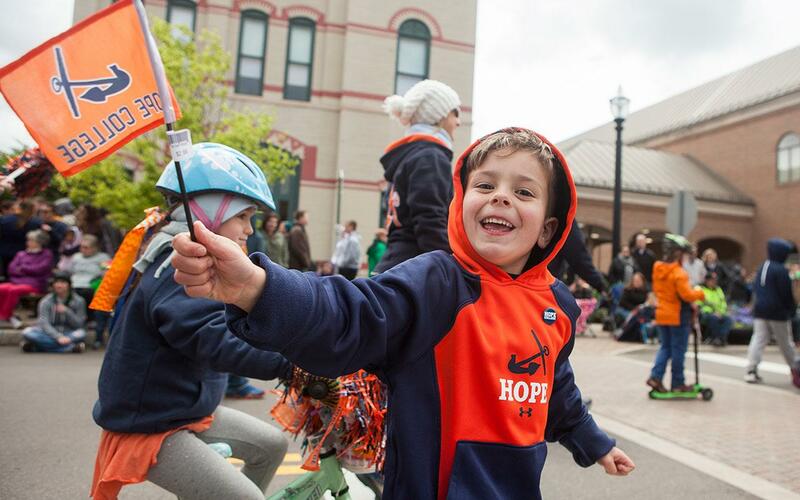 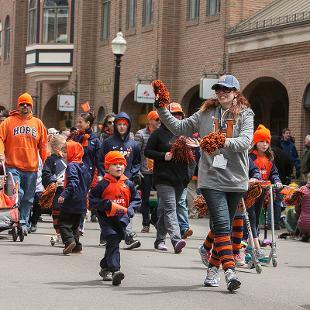 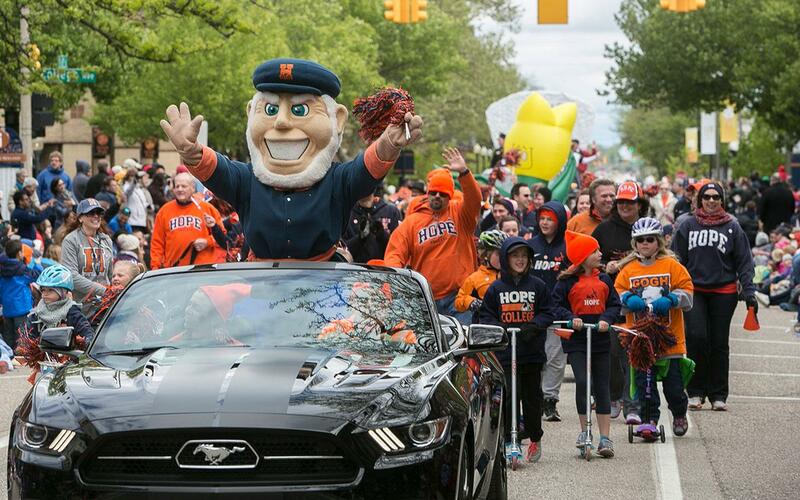 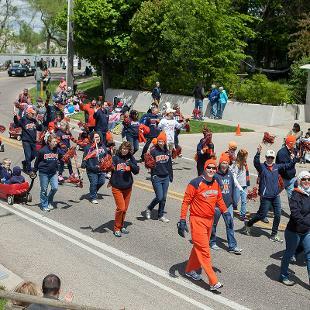 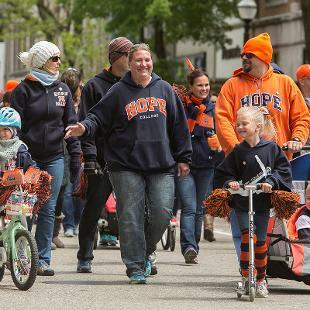 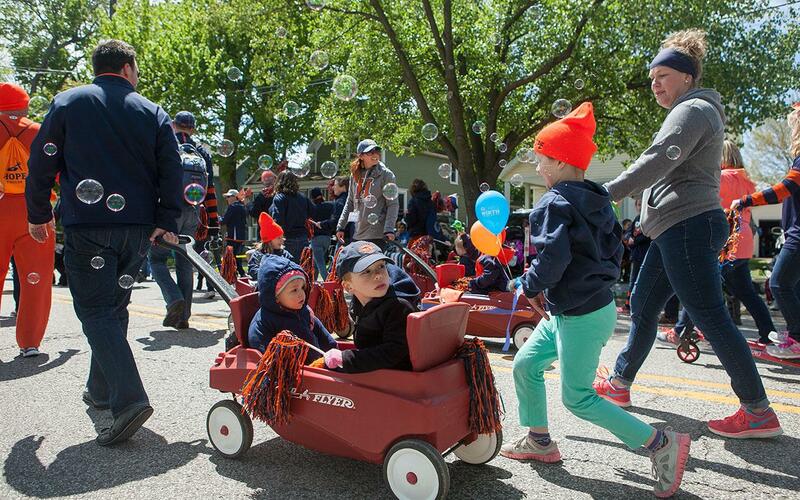 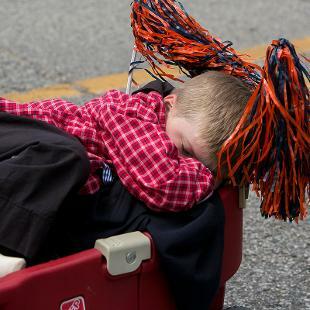 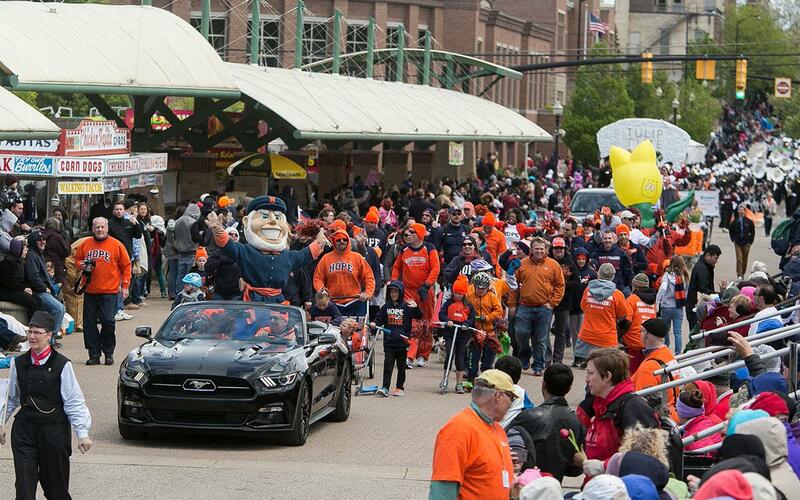 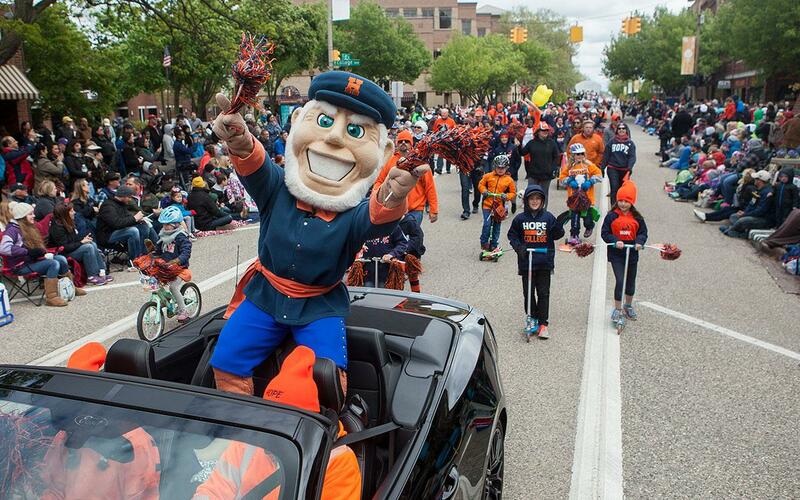 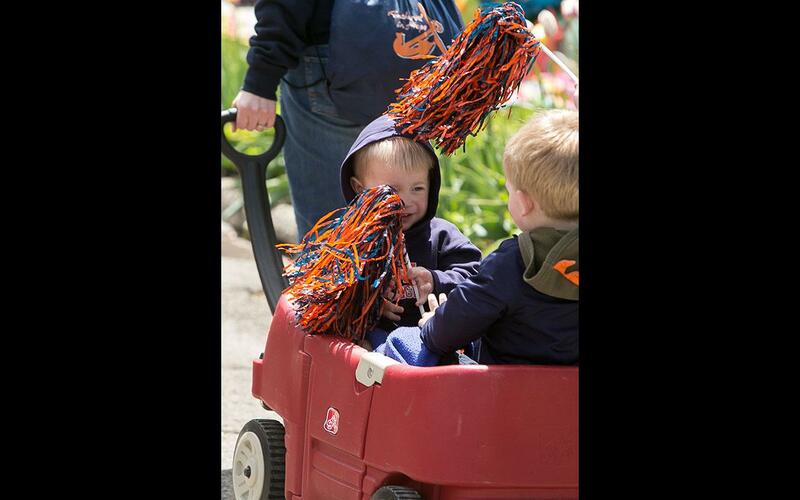 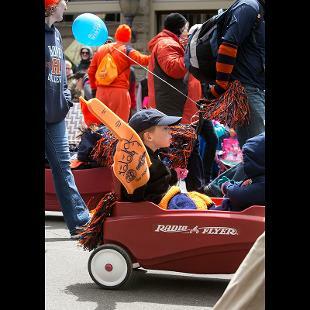 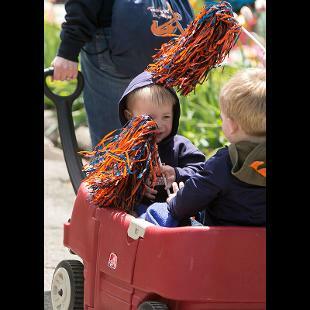 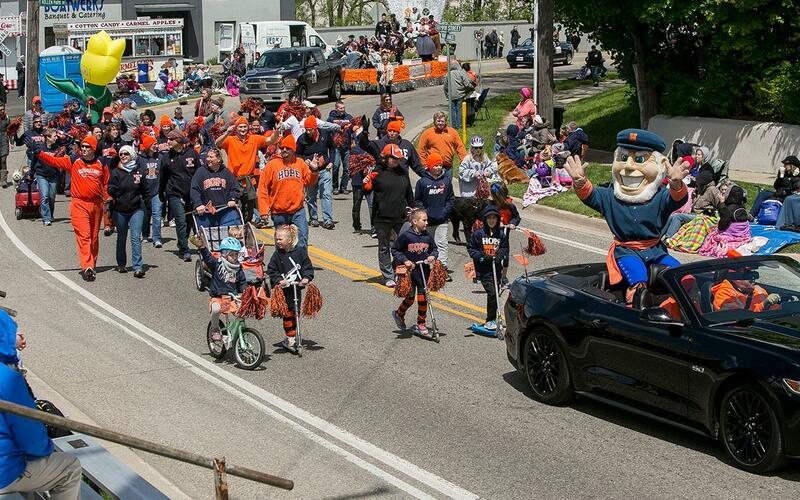 Hope College’s year-long sesquicentennial celebration included a distinctive honor on Saturday, May 14: the college was the Grand Marshal of Tulip Time’s GMB Muziekparade. 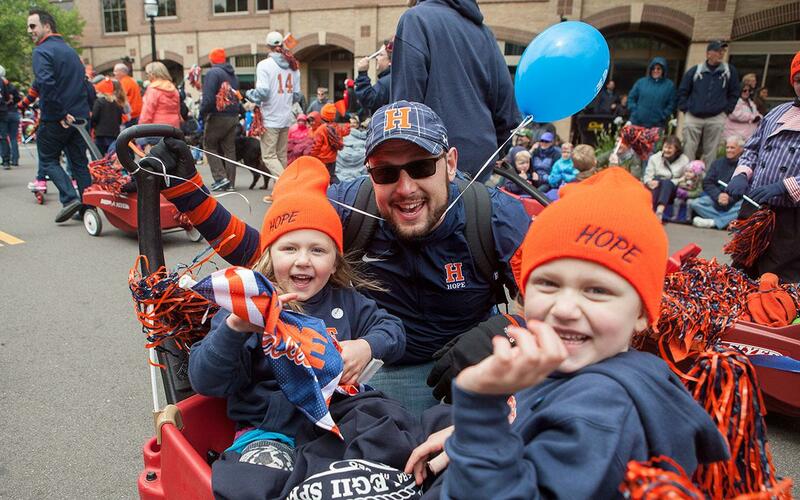 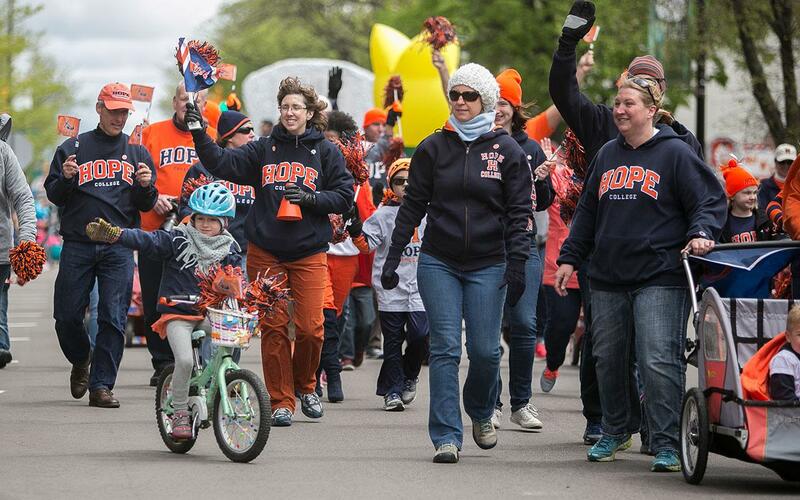 Hope was represented by Dutch, the college’s mascot, and current and retired employees and their families. 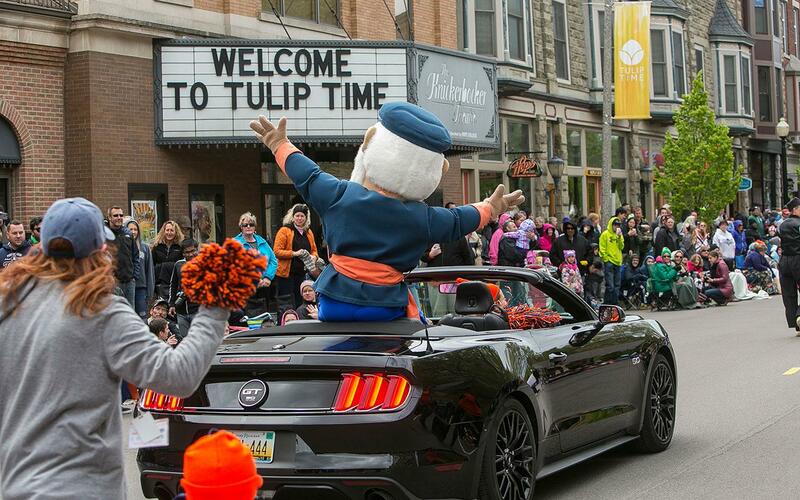 It happens that the date itself couldn’t be more appropriate. 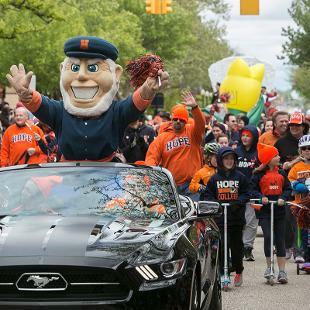 Hope’s sesquicentennial commemoration, which began with Commencement in 2015, has been leading up to the 150th anniversary of when the college received its charter from the State of Michigan: May 14, 1866.